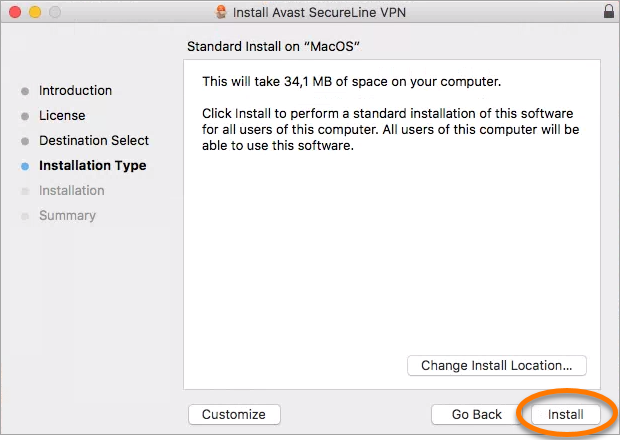 This article concerns only the installation of the standalone version of Avast SecureLine VPN for Mac. 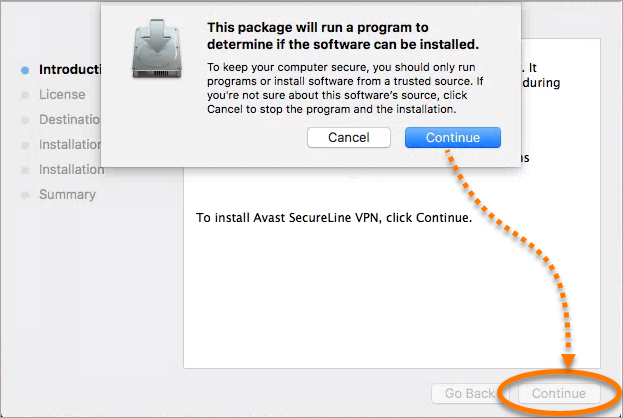 If you use Avast Security for Mac, SecureLine VPN is already installed. Before you begin the installation, ensure that all other programs and internet browsers are closed, and any previous antivirus software is uninstalled. Double-click the downloaded file avast_secureline_mac.dmg. 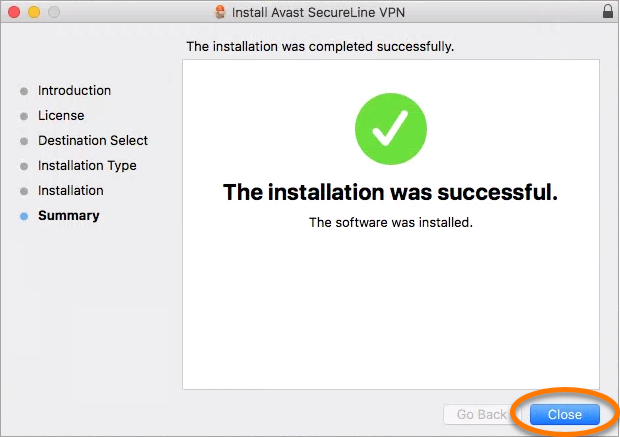 Double-click the Avast SecureLine VPN icon in the installation wizard. Click Continue, and when the pop-up dialog appears click Continue again. 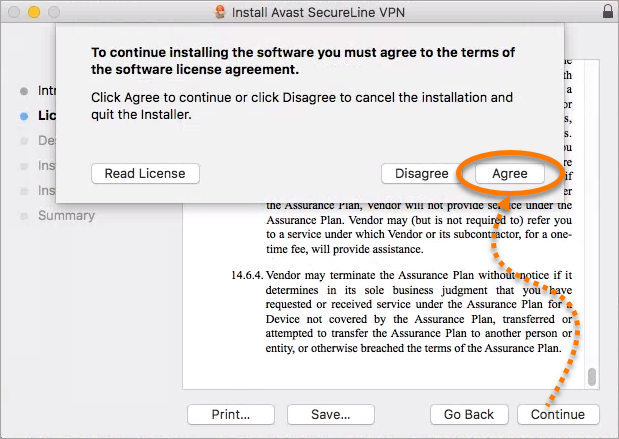 Click Continue after reading the license agreement, then click Agree to confirm that you accept the agreement. If the Mac Installer dialog appears, use your Touch ID to grant permission for the installation, or click Use Password..., then enter your password and click Install Software.